On this bike tour in Northern Spain, you will follow the beautiful coastline, biking west from Bilbao in the Basque Country to Ribadesella in Asturias. This is misty land with an extraordinary and extreme landscape, alternating between sheer cliffs and green hills, tiny coves, and sandy beaches. The austere blue of the ocean and the colorful splashes of small fishing villages and resort towns add to the palette. 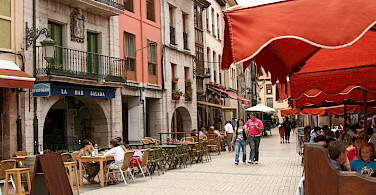 The Basque Region is completely autonomous and is a distinct national and cultural entity, unique in every way. 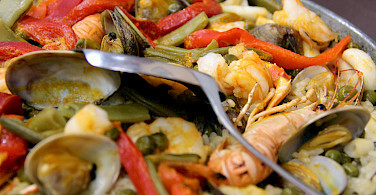 It is also one of the world's top gastronomic destinations! Below is 2018 pricing for transfers. 2019 are pending. The closest international airport to your tour start is Bilbao Airport, easily accessible from a variety of international destinations. 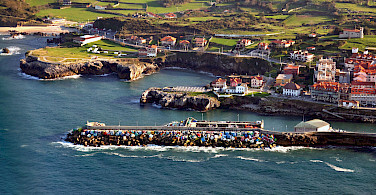 This airport is located 9 km north of Bilbao. 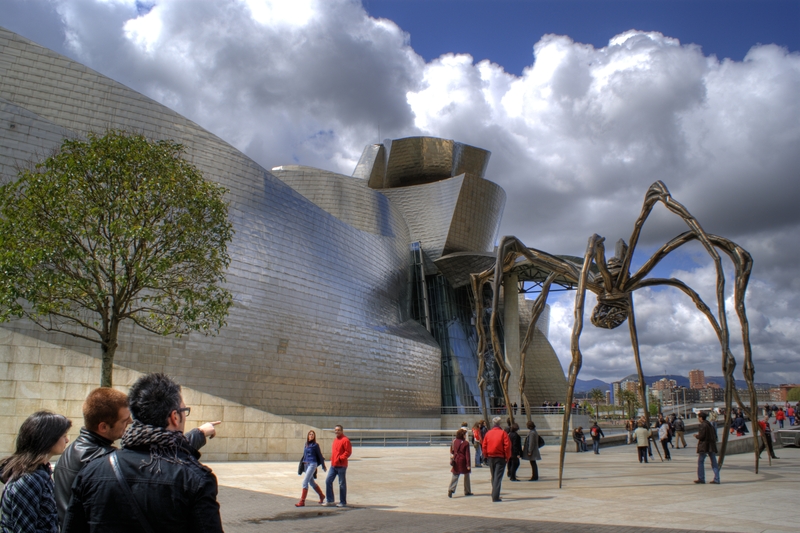 At the end of your tour, you can depart from Bilbao or Santander. To travel to Bilbao city center, the Bilbao Airport Bus line departs from the airport every 30 minutes with travel time approximately 33 minutes. However, if you would like to include San Sebastian in your itinerary, you might consider first traveling to San Sebastian which is only 1 1/2 hour bus ride from the Bilbao Airport. Buses depart hourly to San Sebastian. 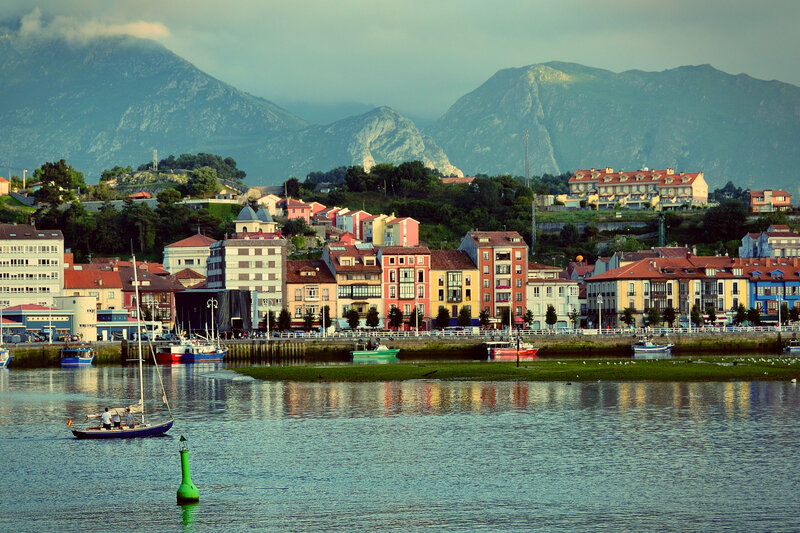 At end of your tour, it is possible to take the ALSA bus to Santander or Bilbao. 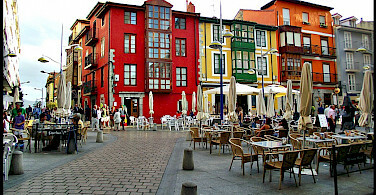 The bus leaves Ribadesella at 10:00 and takes around 2 hours to Santander (city or airport) and 4 hours to Bilbao. 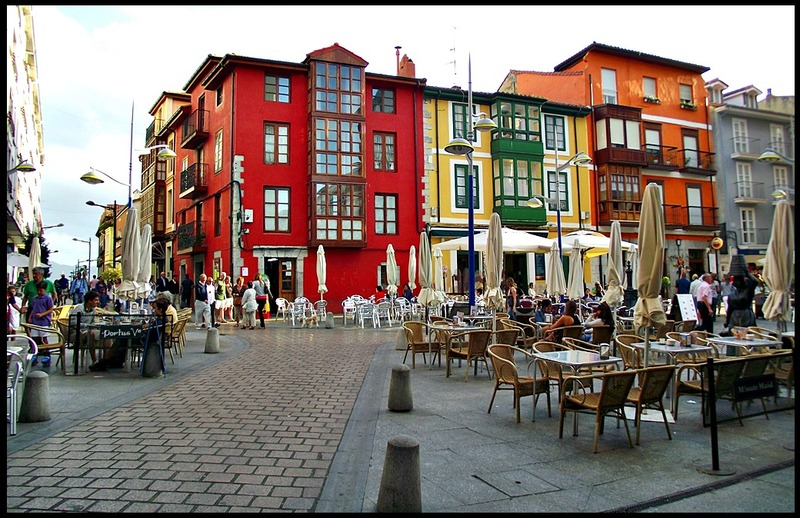 It is also possible to take the ALSA to Oviedo, capital of Asturias, and then from there to Asturias Airport. Please see pricing for airport transfers. In addition to bus services, please note that there is a train service running west along the coast to Santander with RENFE FEVE and also east with Euskotren to San Sebastíán. Please check local conditions before arrival. A good website to research average high/low temperatures and other important weather related facts is weatherbase.com. 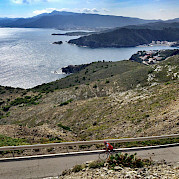 It is recommended to include San Sebastian in your cycling holiday. We can book a hotel for you, if you would like. Just ask us for pricing. This is an moderate self guided bike tour comprised of a hilly terrain. Each day you will have a climb of about 6%. Route graphs are available so that you can see daily elevation changes. On two days, a shorter or longer ride is offered as well as suggestions on other days how to "take a short cut". On any given day, if you inform our partner the day before, you can opt out of a ride by traveling to the next destination with the luggage transfer or even shorten the ride by riding with luggage transfer part of the way. Hotels range from small posadas, casas rurales, casas de labranza* or country inn type accommodation to three and four-star hotels.They are, wherever possible, small establishments, each with its own charm and character and are chosen for their unique location, regional atmosphere, comfort, cleanliness, and personalized customer attention. Please note that many of these types of accommodation do not use the hotel star rating system as they are classed as country inns by local Tourist Boards. Arrival every Saturday from April to October 2019 (other start dates may be organized for groups of 4 or more). *All distances are approximate. Elevation information provided after each day to day. Individual arrival to Bilbao. 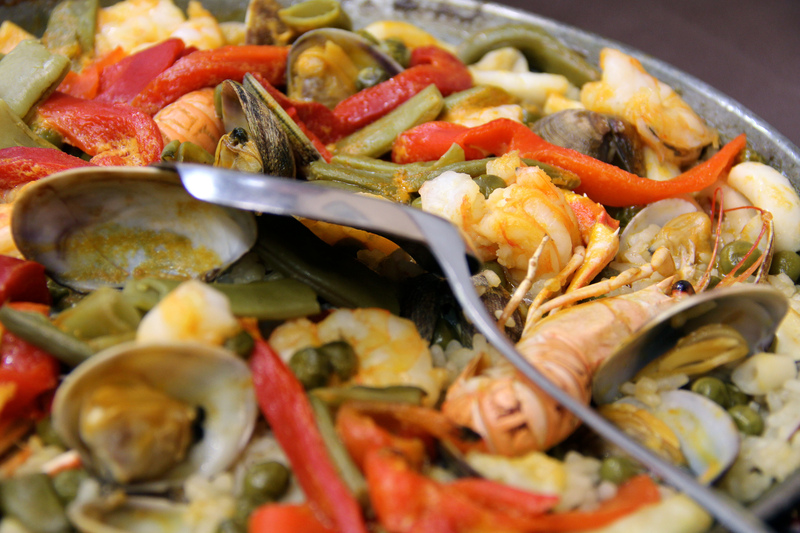 A good time to explore the old quarter in Bilbao and enjoy the best tapas in Spain. A welcome meeting and bike fitting are scheduled after breakfast on the first riding day. 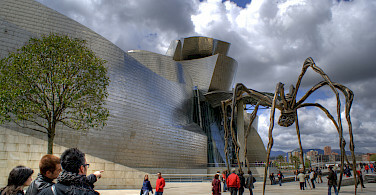 Following the Nervión River, you will depart Bilbao, and cycle to the delta, passing the Guggenheim Museum en route. 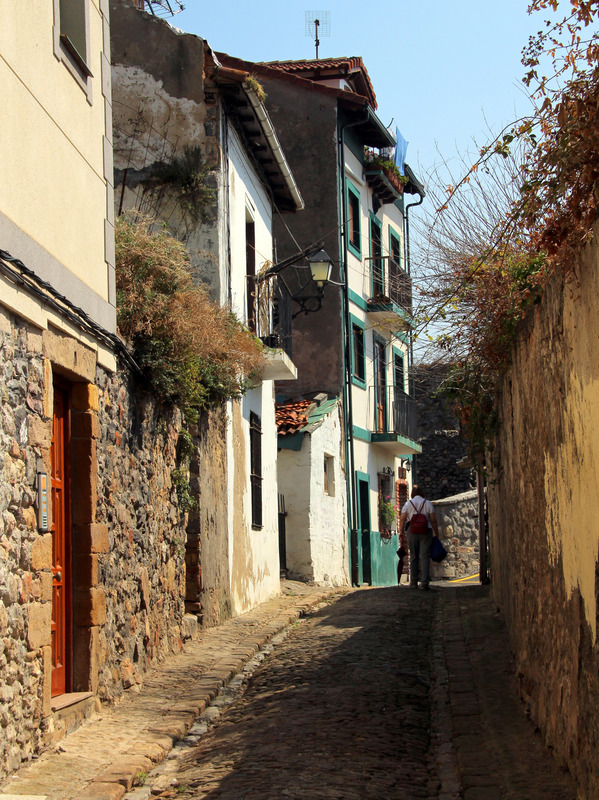 In Getxo, you can see the magnificent 19th-century villas built by the rich Basque industrialists, before visiting Algorta, an old fishing port. 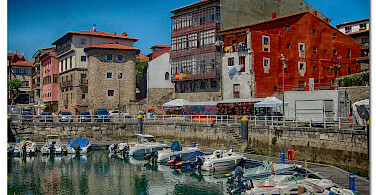 Using the unique Puente Vizcaya, a transporter bridge which dates back to 1893, and is a World Heritage Site, the route crosses the river and then follows the coastline to the fishing port of Castro Urdiales with its pretty harbor and gothic church on the seafront. 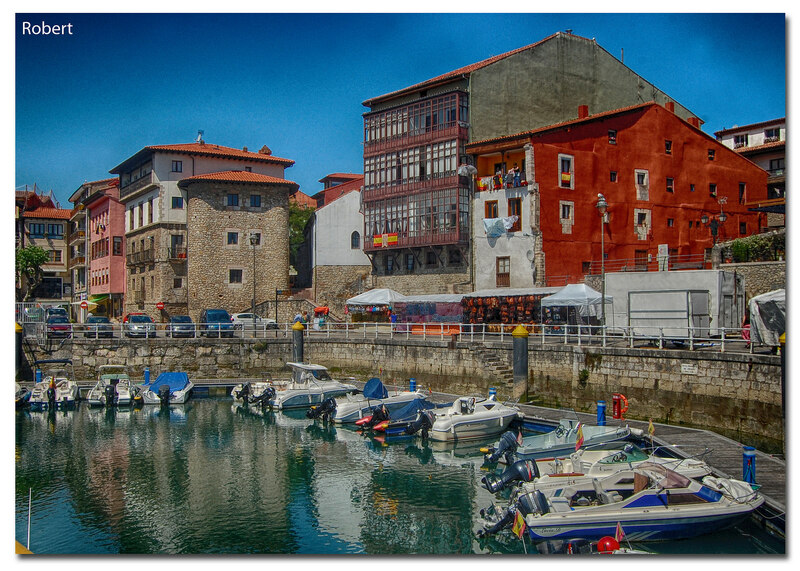 From Castro Urdiales, you pedal west along the magnificent coastline. The Playa de Sonabia, with its crags and cliffs is home to a colony of majestic griffon vultures which you will see soaring high above as you ride. 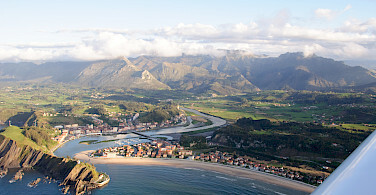 The route leads to the fishing port of Laredo and heads out along its enormous beach towards Santoña and the backdrop of the Monte Buciero. A short ferry ride crosses the river estuary. 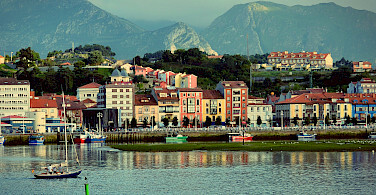 Santoña is famous for its anchovies, a local delicacy. 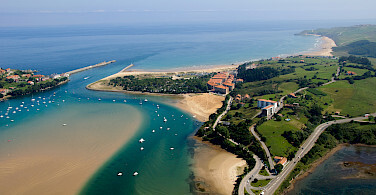 You will overnight in a hotel on the beach of Berria. 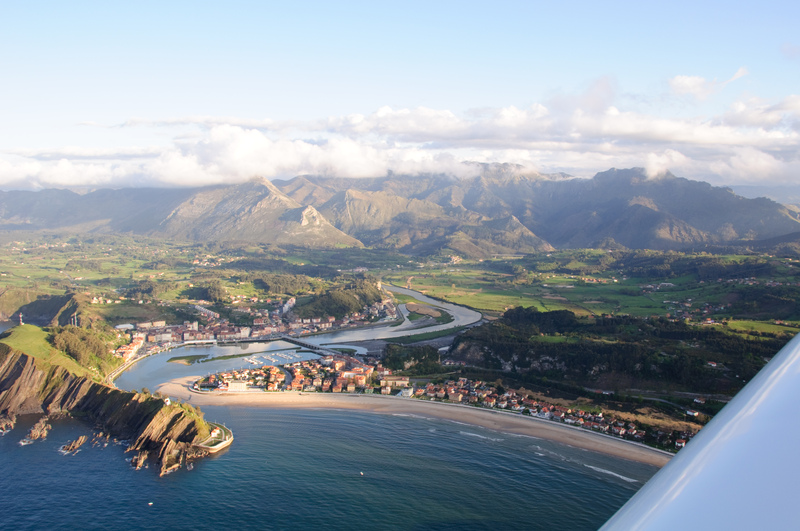 From Santoña the route continues westward, parallel to the coast, with beautiful green scenery, beaches, and cliffs as your constant backdrop. 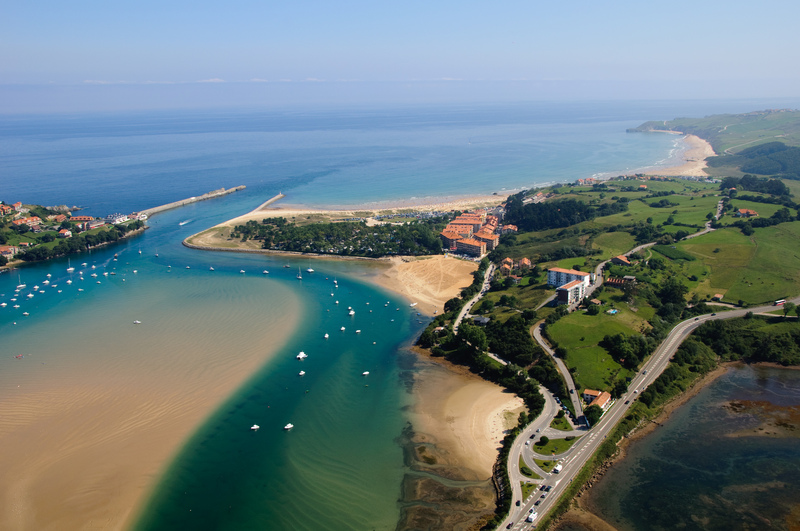 Somo with its beaches and surfers is on the agenda as well as Pedreña and the Bay of Santander, which will be transversed by ferry to reach the elegant capital of Cantabria. Leaving Santander, you follow the waterfront, taking in the magnificent views across the Bay; the Magdalena Palace and Beach, and the beautiful beaches of El Sardinero. 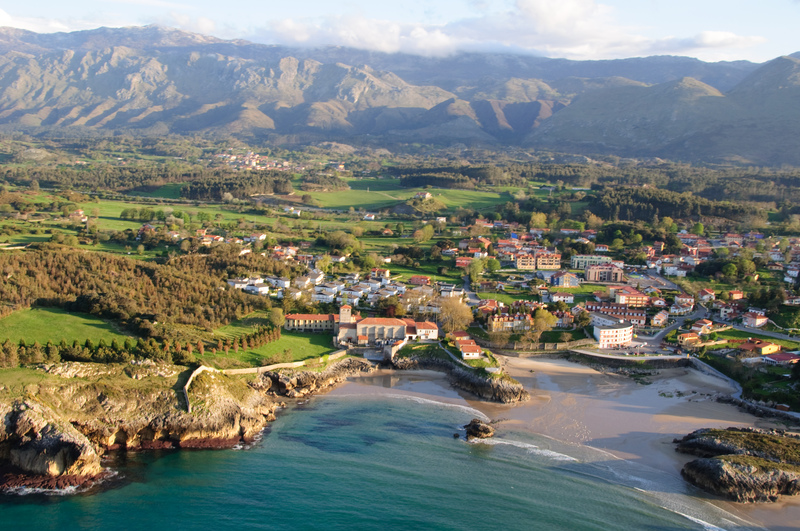 Cycling west again past the unspoilt beaches of Liencres, you will enjoy the views down the coast to the Picos de Europa mountains, here you will join the pilgrims trail of El Camino de Santiago. 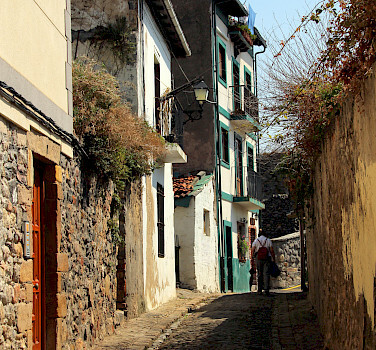 You will follow a lovely bike path down to Besaya River towards the sea and the village of Suances. 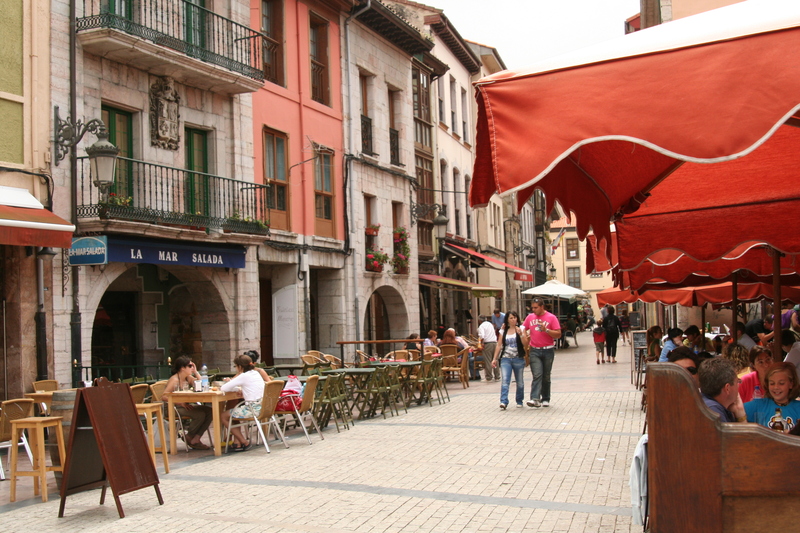 From here it is only a short ride to the beautiful medieval village of Santillana del Mar. 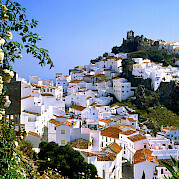 First on the agenda today is the village of Novales, with its lemon groves. More beach and coastal scenery will follow to Comillas, with its many Modernist buildings, the most famous of which is El Capricho, built by the Catalán architect Antoni Gaudí. 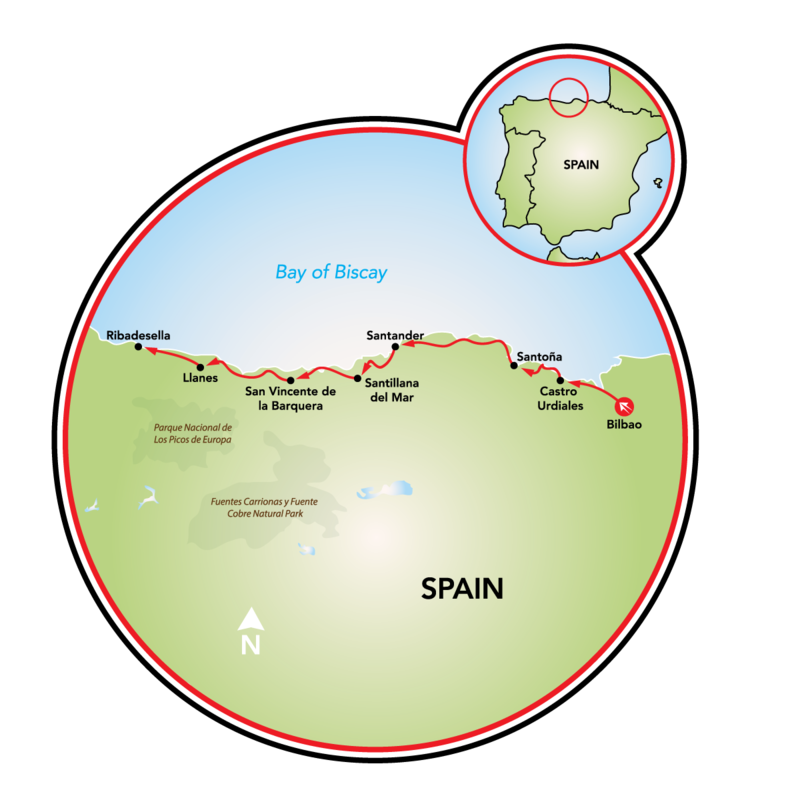 The journey takes us through the Natural Park of Oyambre, with its beautiful beaches and coastline toward tonight's accommodation in the seaside fishing village of San Vicente de la Barquera. Leaving San Vicente the route heads westwards along the coast. After a short distance, you will cycle around the beautiful headland of Pechón with its magnificent views of the coastline. Crossing the River Deva in Unquera we enter the province of Asturias. The village of Colombres is home to the sumptuous villas of the indianos, emigrants to the Americas who made their fortune and then returned. From here, the route continues between the coast and the dramatic mountain backdrop of the Sierra de Cuera, foothills of the Picos de Europa. A beautiful descent through eucalyptus forests brings us back to the coast, where we cycle past beautiful and unspoilt beaches to arrive at the charming fishing village of Llanes. Cycling westwards, you will visit a string of fine beaches, including the incredible landlocked beach of Gulpiyuri. You continue with the magnificent coastline to your right, and the beautiful mountains of the Sierra de Cuera and the Picos de Europa to your left. Finally you reach Ribadesella. 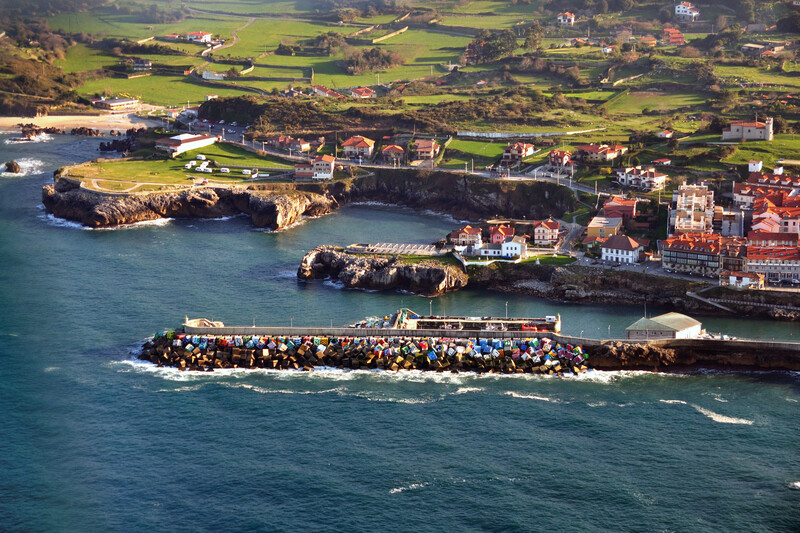 Here you can spend time enjoying this pretty Asturian fishing village with its beach and lively atmosphere. Be sure to check out all of our featured bike trips, and specials, or check out all of our bike tours in Europe.